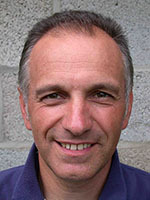 René Minten is actually retired and live in Belgium, he is a Physical Education teacher in secondary school, and he also teaches at college level to PE students, he is also an International Federation of Tchoukball (FITB) representative of Belgium. In this interview, René explains to us how he discovered Tchoukball. What was appealing to him with Tchoukball, and why he wanted to promote it in Belgium. He also talks about the biggest challenges, according to him, for the diffusion and promotion of Tchoukball. He also gives some advices for those who want to start promoting Tchoukball in their country. He describes what have been the difficulties he has encountered when he introduced the game in Belgium.